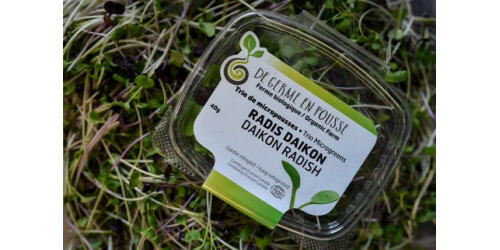 De Germe en Pousse is a certified organic farm located at 9161 St-Vincent Sainte-Scolastique, Mirabel. 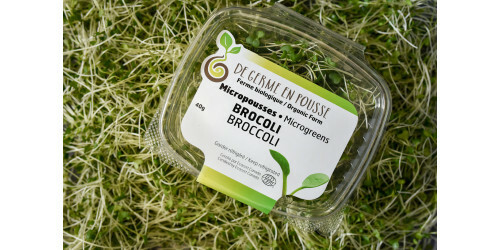 Our farm is specialized in the cultivation of shoots, micro-shoots and varied germination. 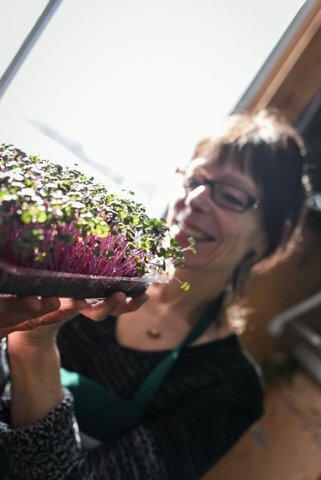 Our products are always fresh and intended for you consumers. We invite you to look carefully at the different products available and the different ways to get them. We offer home delivery as well as drop-off points and meeting points to simplify your life. 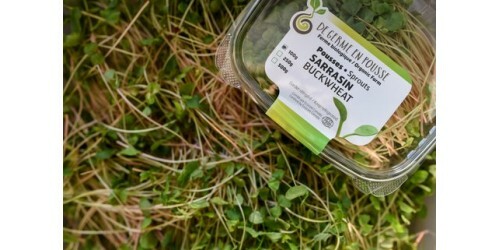 Buckwheat shoots are excellent in salads, sushi,..
Wheatgrass juice is a complete food source. It c.. 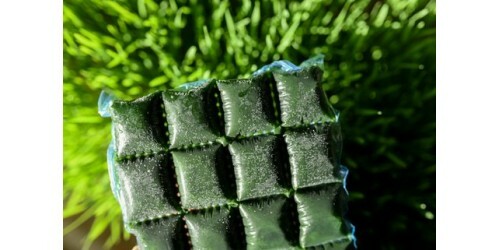 Try those microgreens freshly cut on top of sush..